As a follow-up to a previous question, I'd like to know: Does the LDS church disagree with or "reinterpret" any phrases in the Apostles' Creed? Here's the context: I'm listening to an audio series in which the Apostles' Creed is used as the framework for "Christian theology," implying that those who believe the Apostles' Creed are orthodox. But in this series, non-trinitarians are not considered orthodox. This makes me wonder – how do certain non-trinitarian groups understand the Apostles' Creed? Do they accept it as written, or simply reject it? Or perhaps they accept it, but interpret particular phrases in ways that trinitarians don't? Here, I'd like to know how the LDS church handles this – answers will ideally cite official LDS sources, or at least theologians who are recognized members of the LDS. Related: Same question for Christadelphians, Jehovah's Witnesses, Oneness Pentecostals, and Swedenborgians. That said there isn't too much with the Apostles Creed(in bold) that LDS beliefs differ from. I think that the other answer you received, though it contains useful information, gives a misleading overall impression. Nonetheless, we affirm everything the Apostles' Creed says - if 'sanctam Ecclesiam catholicam, sanctorum communionem' is understood properly. That's the only part which isn't rather directly from the Bible, and we do believe the Bible to be the word of God. Of course Protestants can't accept a naive reading of that phrase either. About the 'ecclesiam catholicam' clause: the idea of the 'church invisible,' which is a standard way many 'mainstream' Christians interpret this without making this about the Roman Catholic Church, is in good agreement with LDS doctrine. Basically, the idea is "whatever associations and divisions among people there may seem to be on the surface, ultimately people are assembled into two camps; either you're in Christ's camp or you aren't." This is precisely the point made in Nephi's vision early in the Book of Mormon. Even though the institutional church is authorized by God, there are undoubtedly some who have joined it who unfortunately aren't really in the 'Church of the Lamb' and most definitely others who really are in Christ's camp though they haven't (yet) joined His institutional church. Overall, I think it's safe to say we affirm the content of the Apostles' Creed in a rather 'orthodox' way. Indeed, given that many others have altered their ideas regarding the resurrection of the flesh, we're likely more comfortable with the content than many Protestants. The situation is rather unlike the later creeds, each of which contains some doctrines (e.g. homoousion) we see as decidedly the uninspired word of man. I think the 'clarifications' depperm made overemphasize perceived differences. We generally say the Father created the world, it's just that with a non-Nicean viewpoint there's new significance to Hebrews 1:2 "his Son ... by whom also he made the worlds." Because the Savior does the will of the Father, asking whether the Father or the Son created the world is somewhat like asking whether I chopped down the tree or my axe did - both are true. Mainstream Christians are used to the idea that though Christ is the only son of God in some sense there are other senses in which all people, or all the faithful, are His children (Acts 17:29, Eph 4:6, Heb 12:9, Rom 8:16); we are a little more specific about that. Similarly re 'descendit ad inferos' - though our doctrine about the intermediate state between death and resurrection is different from e.g. Catholic purgatory, the D&C 138 statement that Christ visited and freed the 'spirits of the just' is very much the same as e.g. the Catholic catechism or Aquinas. The part that's unique to D&C 138 is how the 'preaching unto the spirits in prison' (1 Pet 3:19) reaches beyond that via His commissioning others. Not the answer you're looking for? 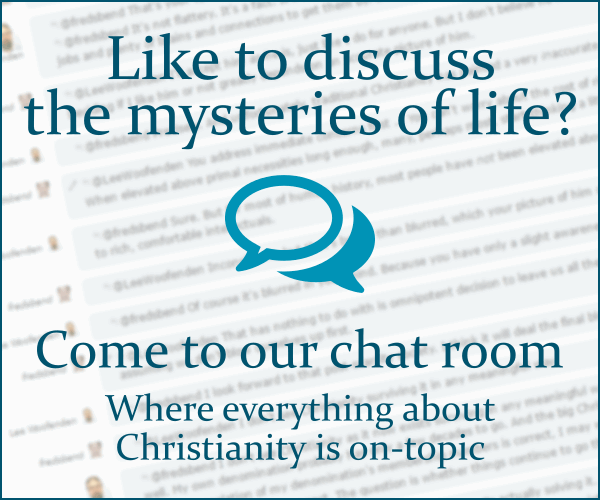 Browse other questions tagged lds creeds-and-confessions non-trinitarian apostles-creed or ask your own question. What, specifically, if anything, is heterodox about LDS eschatology? What does “communion of saints” mean in the Apostle's Creed?